petition: BAN BITS IN MODERN HORSEMANSHIP! BAN BITS IN MODERN HORSEMANSHIP! recipient: Head of FEI (Fédération Équestre Internationale) and President of the International Olympic Committee. Horses are flight animals: they are designed to flee from pain. When we put bits in their mouths - which hurt them - we are NOT in control. Are you like me and believe - like I once did - that bits are only a tool to communicate with our horses? And like I once did believe that bits do not cause any harm at all? For most of us with a love of horses, it is as normal to ride a horse with a bit as it is to walk a dog on a leash. However, studies have proven that riding horses with bits is harmful to their health. In fact, there are more than 100 physical and psychological disorders associated with bits. This includes horses bolting to try and escape from the discomfort and pain as well as other seemingly aggressive behaviour such as rearing and bucking. People normally view this behaviour as the horse being stubborn or ill-disciplined, but the horse is only instinctively trying to protect himself from harm and trying to convey a message to you to please stop hurting him. Bits cause a phenomenon called "neurocranial shock" which is a sudden, powerful electrical surge through the horse's brain which originates from pressure on the nerves around the horse's mouth. Horses also try to stop the pain by pushing their tongues between the gums and bit which causes high damage to the tongue and could cause the tongue to become paralyzed. Bone spurs also appear on the gums from constant pressure. Bone spurs are extremely painful to horses. 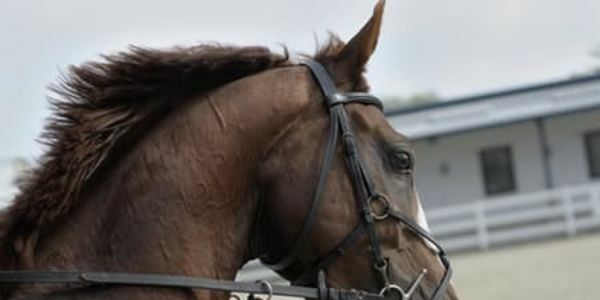 This petition calls for horsepeople to consider the impact of the bit on horses and to please stop the use of bits completely. Switch to a more humane option: bitless bridles. We, the undersigned, have united in an effort for the world to see that bits need to be viewed as animal cruelty and should not be used on any animal. Animals should not be controlled or forced, they need to be communicated with in a language they can understand. Horses are flight animals. This means they're instinct is to flee from pain. Using bits causes them to go into high alert, therefore, they spook more easily and (contrary to popular belief) become harder to control. Please review the use of bits in all equestrian sports as riding them without these torture devices is not only possible, but more humane. Do not, however advise riders to ride with hackamores, but insist that they ride with bitless bridles or completely bridleless instead. No bone spurs or dental damage was found in any of the 12 wild horses skulls. There is a video from Bite Size Vegan which gives great visuals on why it is important to stop using bits. Please help us to improve the lives of horses and help equestrians to see that here are many - more humane - ways to ride horses. Please help us to achieve our goal by sharing this petition throughout your social media networks and send it to your e-mail contacts. Thank you for signing "Demand Bits Be Banned!" More studies have shown that only domestic horses have erosion in their neck vertebrae and permanent back problems. Please share this petition on your social media sites, websites and e-mail it to all your contacts. Please aid us in our fight to end this torture. The suffering of these graceful and peaceful animals needs to end.